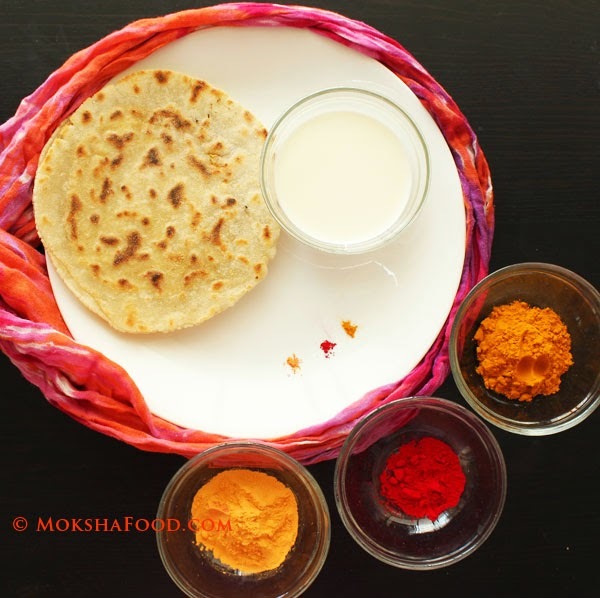 Bedekar Sunday Special Deccan Masala is a packaged spice blend available in Mumbai, India. My Mom swears by it and always stocks it in her pantry. Last summer when she visited me, she also bought one packet for me. This mixture contains red chilies, coriander seeds, black pepper, poppy seeds, cumin and mustard seeds, turmeric, bay leaf, triphala, nagkeshar, mayapatri and taj cloves. Some of the herbs are not a common staple. But you can always replace this spice blend with your usual garam masala and red chili powder to get a similar flavor. 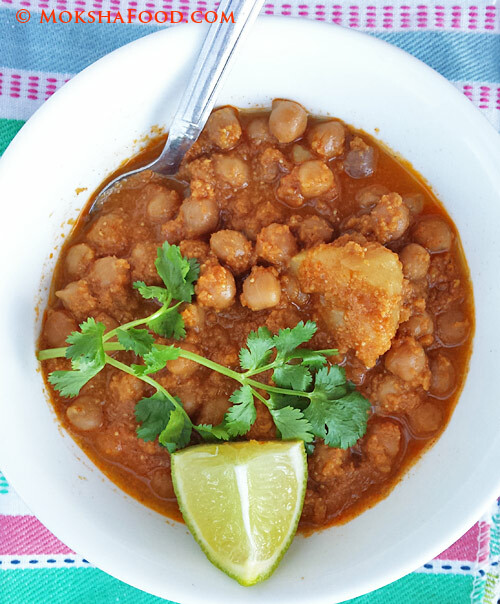 This Chickpeas in spicy coconut sauce almost tasted like a meaty dish. 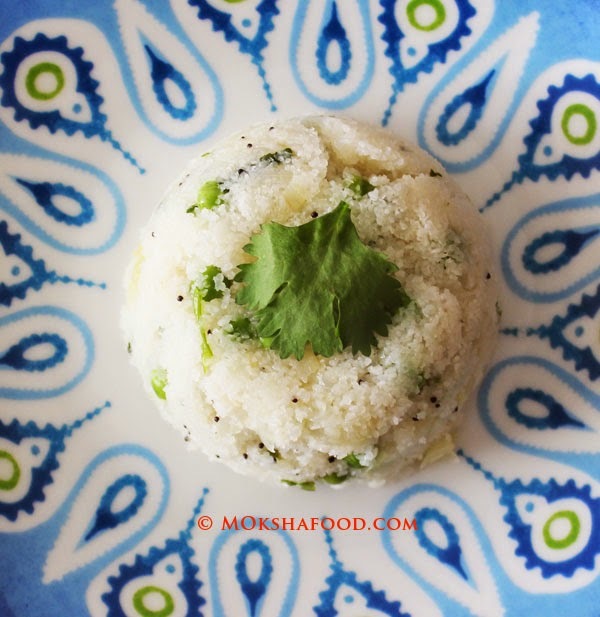 You could also swap the grated coconut with coconut milk to make this preparation creamy and rich. In a pressure cooker or saucepan, heat oil to medium. Add the onions and saute till soft. Add garlic and ginger and keep sauteing till onions turn brown. Add the poppy seeds and coconut and saute some more. Add the spice powders- turmeric and sunday masala and mix well. Take off the heat, cool and grind with 1/2 cup water to a smooth paste. Drain the water from the chickpeas and add to the pressure cooker. 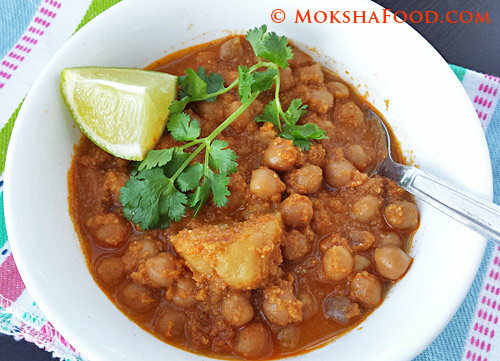 Add the potato, ground paste, salt and jaggery and mix well to coat the chickpeas in the masala. 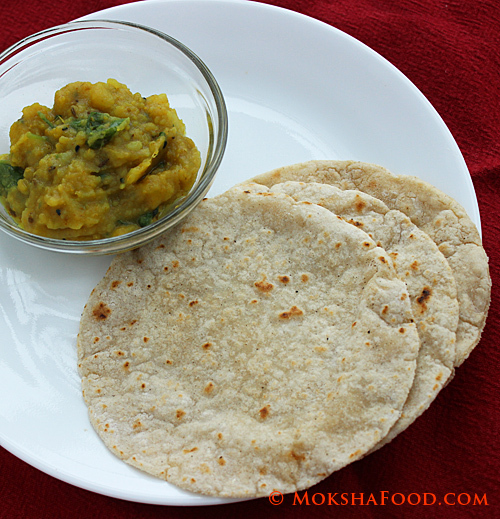 Serve this sweet and spicy chickpeas with puri/fried bread, chapati/flatbread or flavored rice.